Our military families endure the burdens of separation when a significant member is repeatedly, often suddenly, called far away to serve for extended periods of time. Not only handling the separations but also the reunions and restoration of the family circle are the subjects of this book. Deployments order service personnel to duties in distant places ashore and at sea. 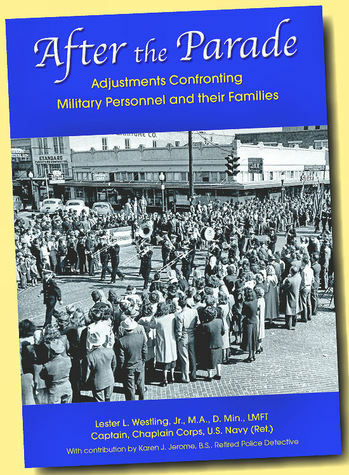 However, a special chapter deals specifically with what combat does to the combatant, to the family, and to the nation, with suggested coping strategies for those involved. When Johnny and Joanie come home from war, a parade celebrates their return. When the Parade is over the citizens go home, but the soldier, the sailor, the airman, the spouse, and the children just begin rethinking their past and planning a new future. This book will help with these adjustments. It is a valuable resource for every military person and family, and for every physician, pastor and therapist who cares for them. For an autographed copy on the Hillwood Publishing Co. website please indicate your desire at “Add to Cart” button. California residents pay 8.625% sales tax. For credit cards please use the PayPal “Add to Cart” Shopping Cart link.